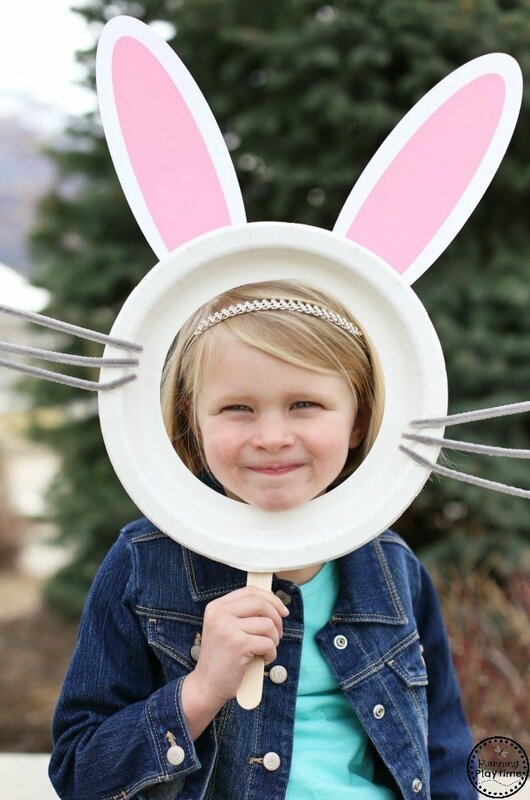 This Bunny Mask for kids couldn’t be more simple, or more darling. What makes it over-the-top darling? Your child’s sweet little face, of course. Grandma will be the one hopping around when you send her that photo. You may already have the supplies on hand in your craft stash, and we’ve even included a free printable for the ears. Just print and cut. No free-hand drawing necessary. *This post may contain affiliate links. Affiliate links are a great way for us to share awesome products with you, and they are a great way to support your favorite bloggers. Cut a 6 ½” hole in the center of the paper plate. I found these heavy-duty 10”paper plates at the Dollar Store. I used the Fiskars Circle Cutter to cut out my holes, and was a little nervous about whether it would cut the thickness, but it worked beautifully! You can also just use scissors. Here’s a tip if you are using scissors. 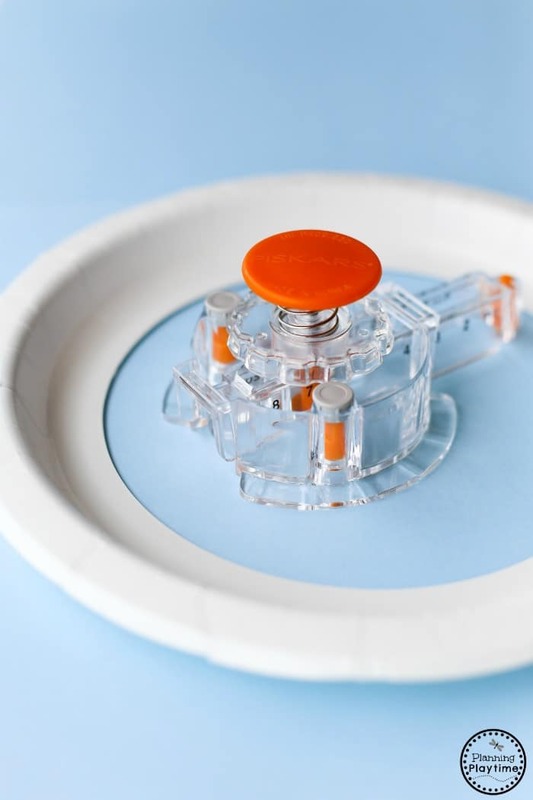 Lay a bowl or something round on top of the paper plate to trace an even circle. Then the kids have an easy pattern to follow while they cut. 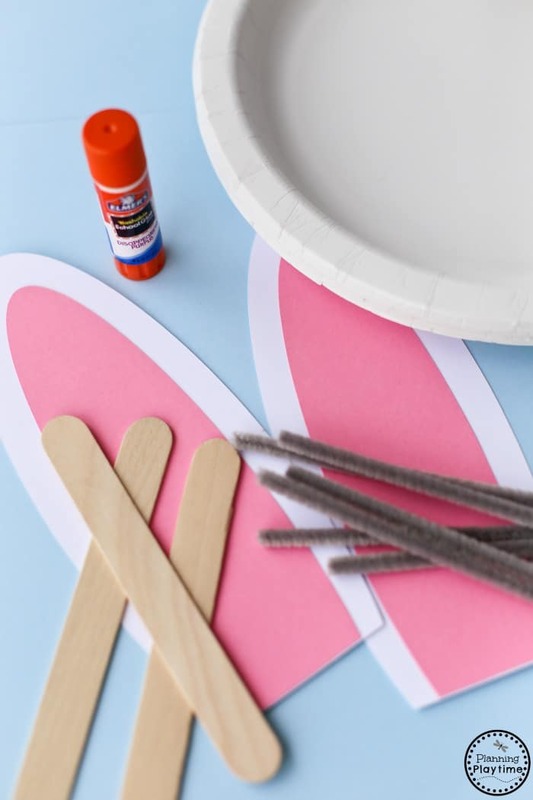 Print and cut out the bunny ears pattern. Adhere to the back of the paper plate. Add a jumbo craft stick to the bottom. Flip the plate over and adhere whiskers. I cut three pipe cleaners in half and used hot glue to adhere them. Make sure an adult is manning the hot glue gun to save little fingers from getting burned. 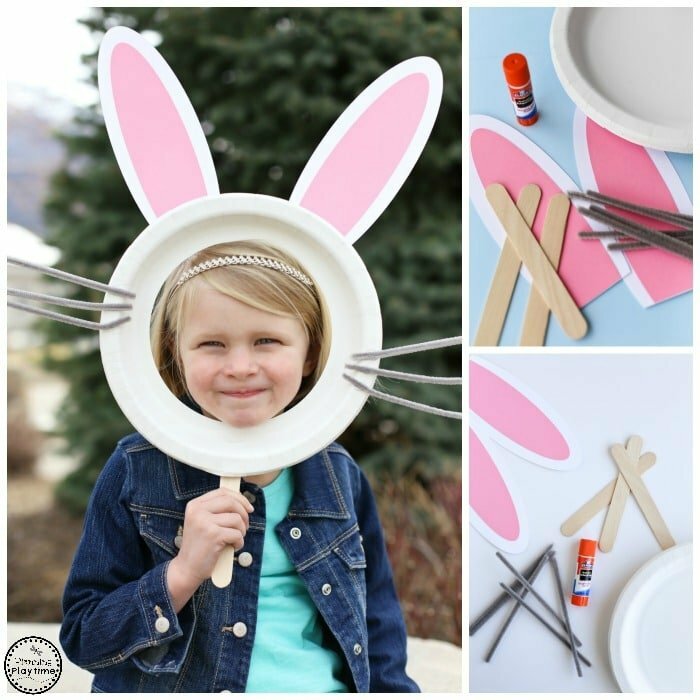 This cute Bunny Mask for kids is a great craft for a preschool or kindergarten class. You could use it as an Easter Craft of while learning about baby animals. This could also be a fun addition to a photo booth, or as a whole class photo of little bunnies. Thank you so much for this cute idea! And thank you for including the ear patterns!! I’m making these with my son’s class on Friday and you have really made things easy for me. You are so welcome. I’m always happy to hear our ideas have been helpful. Have a great time on Friday!